Shoes too tight? Let’s Experiment. 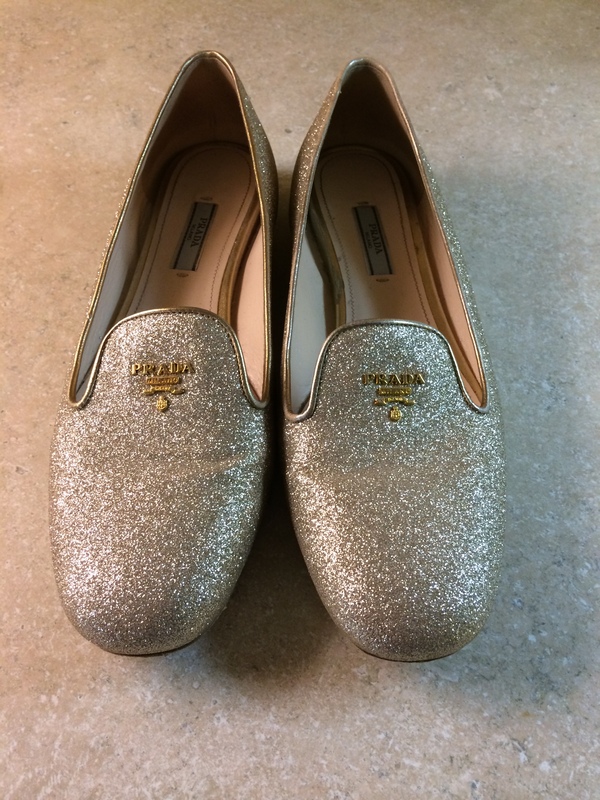 2 years ago my brother in law gave me some GORGEOUS Prada flats but they were just a little bit too tight at the front. I went to Prada and asked if this was common, they said every now and again they get a couple of people who have complained about the same thing. 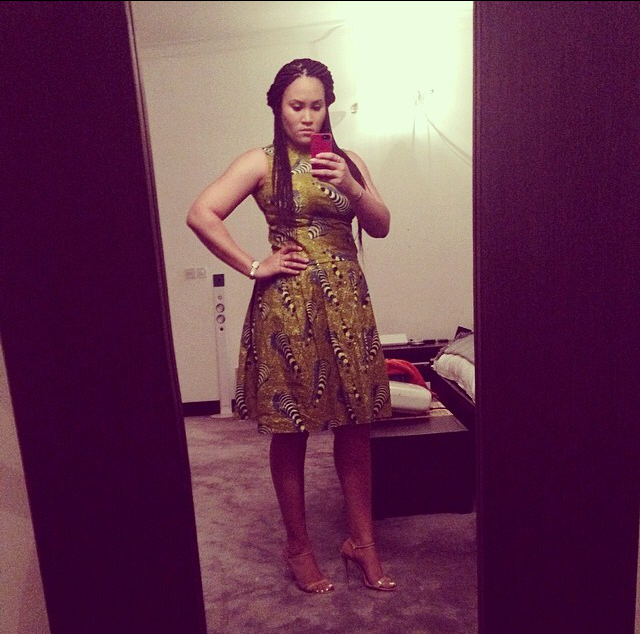 I came to realize I wasn’t the only one with this problem – and nor was Prada. So I got some shoe expanders but that was an epic fail. It made no difference. Then someone suggested I put water in a bag, put them in my shoes and freeze them. 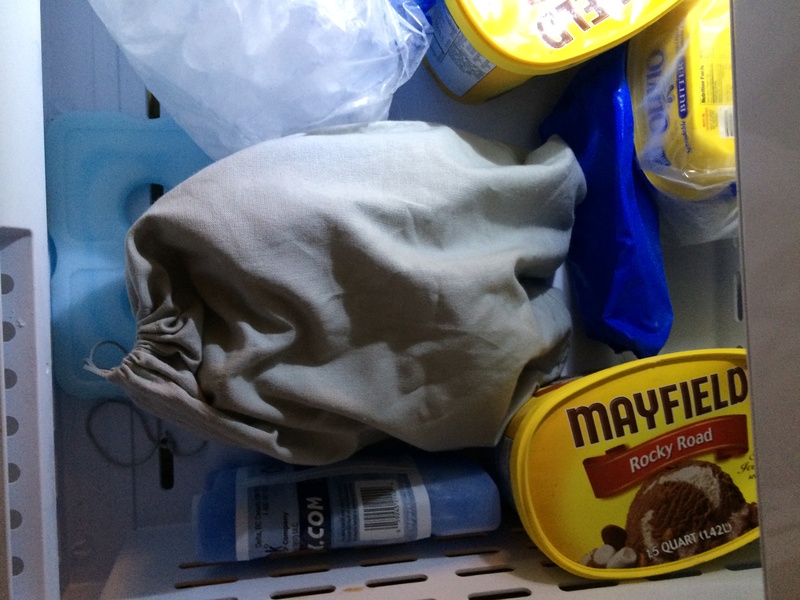 The idea is that the bags of water freeze, expand and therefore stretch your shoes! At first I laughed. However, after thinking about how many different ways I could wear these shoes, I desperately gave in. I’ve worn them a total of 3 times and this is a disservice to such beautiful shoes. 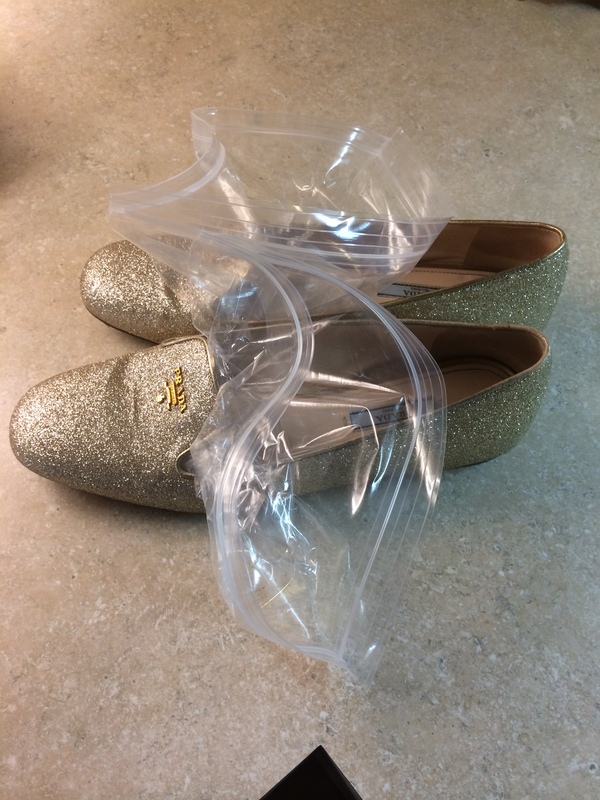 This evening I decided to fill my shoes with a bag of water. Pictures of my little experiment & Instructions (if you want to give it a try) are below. Watch This Space For An Update On How Well It Worked! How Beautiful are these? I hope this works so I can wear them more often! 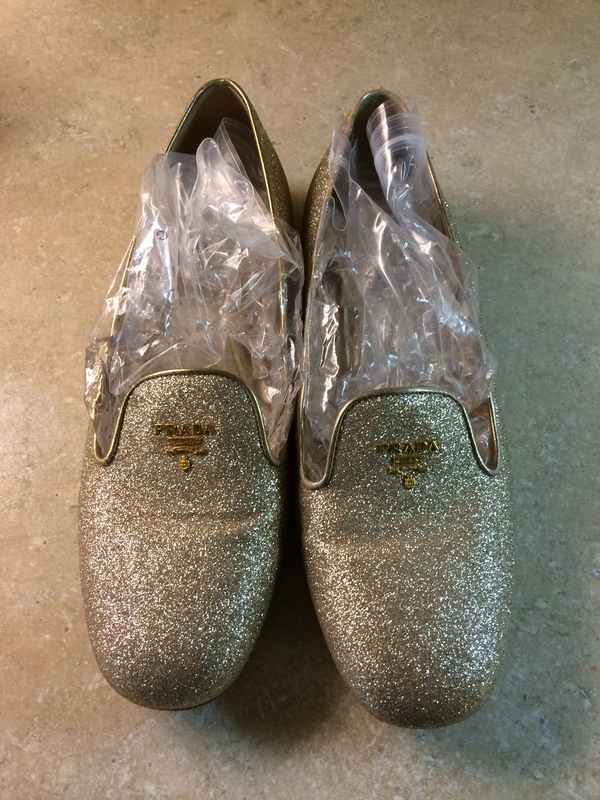 First I stuffed the shoes with a zip lock bag. I tried to get the bag as far in the shoe as possible. (Any leak proof bag will do). Next I filled the bags up with water. Make sure you don’t fill them up too much so you don’t stretch a part of the shoe that already fits. Finally, pop them in the freezer with all your other goodies! Make sure they are on an angle so the water freezes in the area you want. I covered mine with a shoe bag just incase!